The next Bound Hero Battle and accompanying Summoning Focus in Fire Emblem Heroes is here. From Fire Emblem Awakening, Cherche: Wyvern Friend and Virion: Elite Archer are waiting in Special Maps for a Bound Hero battle! Take on Hard to Infernal difficulties to put your skills to the test. 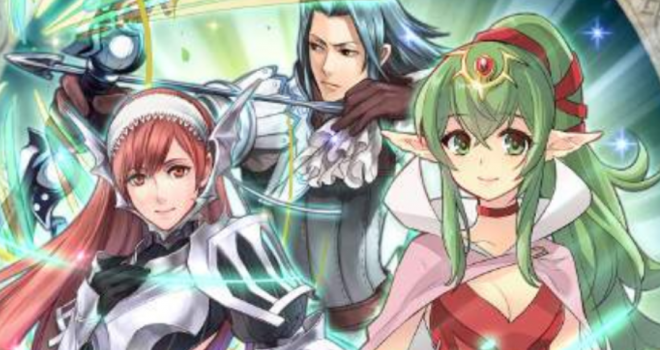 To accompany the start of Bound Hero Battle: Cherche & Virion, Cherche: Wyvern Friend, Virion: Elite Archer, and Tiki: Naga’s Voice will be part of a 5★ summoning focus. The summoning event runs from February 12th at 02:00 until February 18th at 01:59.